Reminder! One day left to enter the Giveaway! 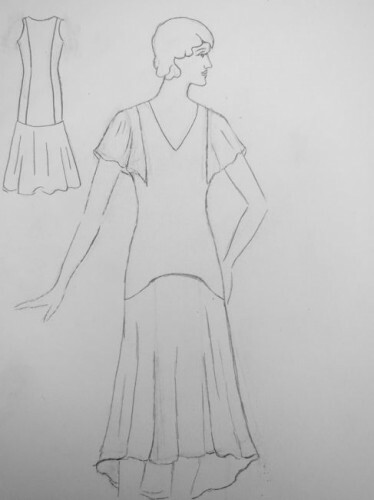 One of the upcoming classes I’m teaching is a ’30s garden party dress class. I love ’30s garden party dresses – you know the ones; chiffon, ruffles, floral prints, with that incredible ’30s ability to be ridiculously cutesy feminine and very glamorous and sophisticated at the same time. For the class, I’m debuting an idea I’ve been working on. 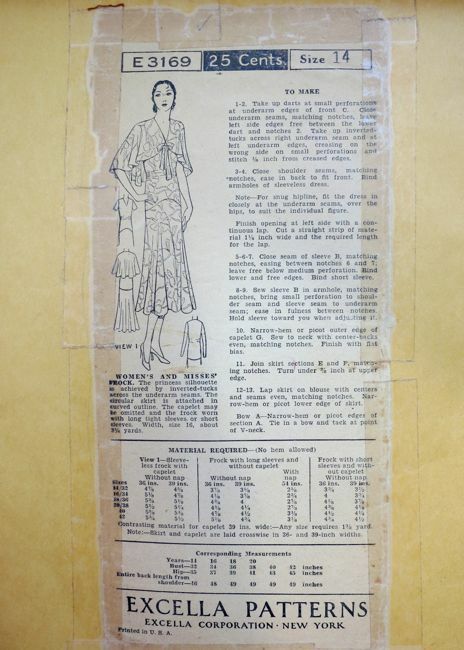 A lot of 1930s dresses are made from very similar patterns: a basic bodice, married to a full-ish skirt attached with an interestingly seamed dropped waistline, with a choice of sleeve treatments. 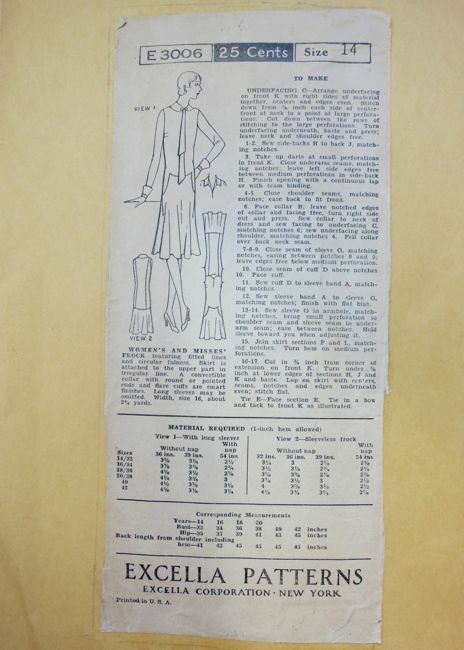 I’ve taken this formula, and am turning it into a pattern that allows lots of choices, while still being a good introduction to vintage ’30s sewing techniques. To start with, my pattern has a basic bodice. 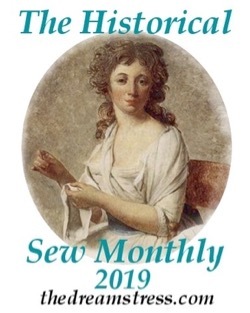 I’ve taken the bodice from patterns like Excella E3006 – this type of bodice has the advantage of back princess seams, great for adding a little more shape and fitting a wider range of bodies. 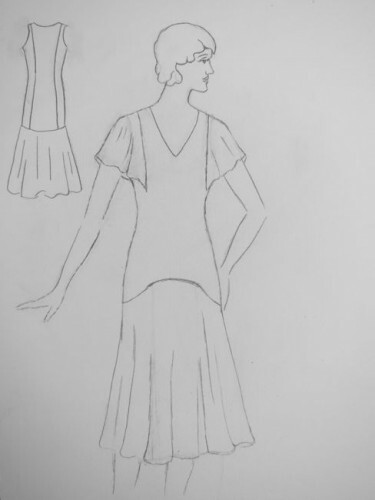 For necklines, my pattern has the choice of a V neck or a gentle curve: the two most popular 1930s necklines. To go with the choice of necklines, there is a choice of sleeveless, slim short or long sleeves, or little cape-sleeves borrowed from Excella E3137. I’m really excited about the class, and about the pattern! Those are some truly lovely designs! I would make all of them if I could…maybe one day you will do a class in California! I’d like to give this look a try and see if I can muddle out my own pattern, but I never know what kind of floral chiffon is appropriate for this era. Any tips? Oh! They are all so lovely! If you ever went to California to teach a class, I might need to find a way to get out there and make something alongside you 🙂 Your students are so exceptionally lucky to have you! uhh, yeah, please come to CA! 😉 Love the designs. Hope your class does too. What fun – enough variety to make a whole lot of people look good. This looks like a pattern that would actually work for me. Vee-shaped necklines and skirts with fullness starting at the hips look good on me. I have a question. What types of fabric would be appropriate for this kind of dress? I recommend light, draping fabrics. Silk chiffon is a pain to work with, but drapes and clings beautifully. Fine, lightweight, draping cottons are brilliant and easy. 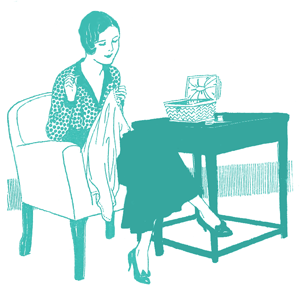 Viscose (rayon) is a little harder, but makes up very nicely, and is period-correct. If you don’t mind inaccuracy, you can get a nice effect with synthetic chiffons, like I used for the Frumpy Dress. Thanks. If I were to make such a dress, I’d go for a light cotton, since rayon tends to cost more where I live (even though it does drape very nicely). These are beautiful! I love that you’ve taken these simple concepts of thirties fashion and do a kind of ‘pick and choose’ combination where all are equally appealing. 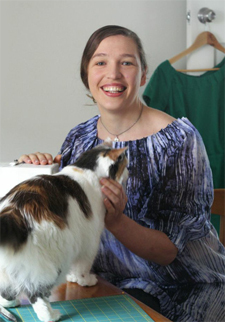 However, at the same time, you’ve made the possibility of designing/drafting your own period clothes very achievable. 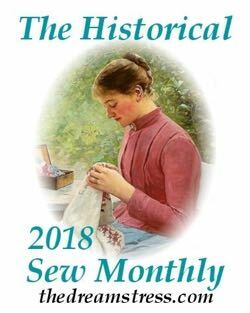 By taking some of the basic lines of a classic piece of clothing from that era it simplifies the huge unknown of making period accurate clothing. Something to think about. Wow! That’s a brilliant pattern design. Wish you were in the UK. 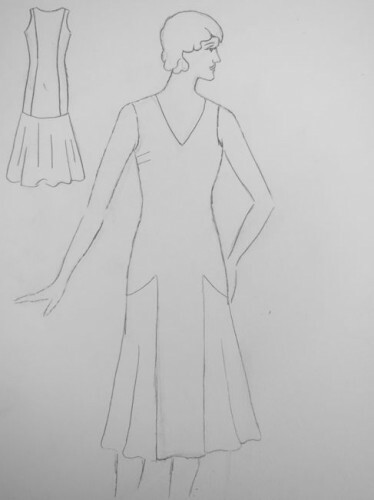 A 30’s dress is what I lack in my wardrobe. 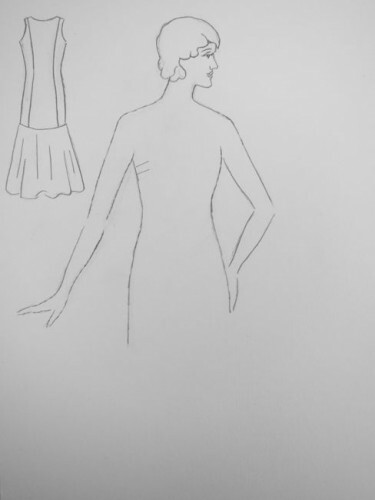 (I’d definitely go for V neckline & double-pointed skirt and those drapey sleeves). I don’t suppose you’d make this pattern available to buy one day? I definitely want to make this available to buy! I’m working on it, I just feel like I’m pushing stones uphill – the learning curve is so steep for me! Hope your class goes well though!